Relax in style. This stunning faux leather chaise lounge offers a modern twist to traditional lounge seating. Relax in style. 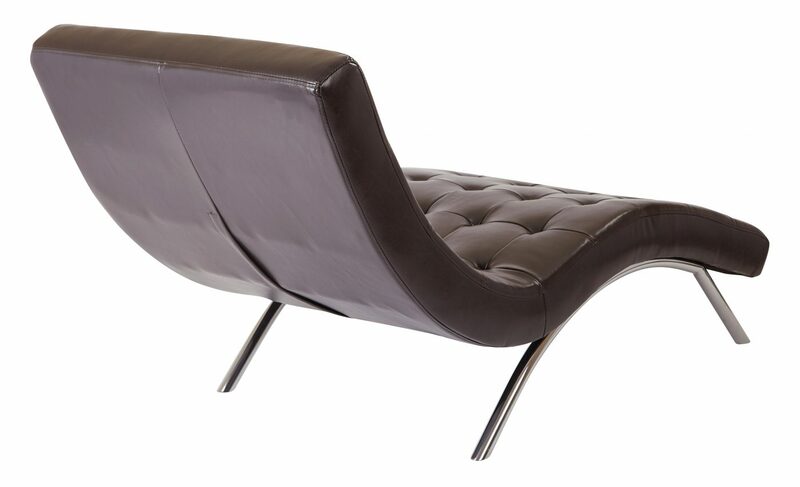 This stunning faux leather chaise lounge offers a modern twist to traditional lounge seating. 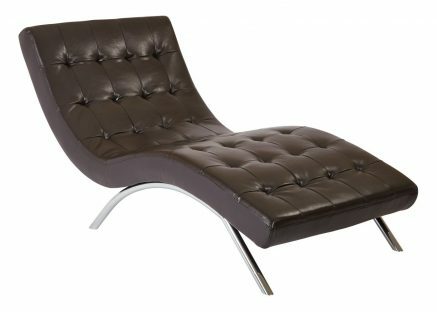 Elegant curves, a tufted seating surface, and a modern chrome finish base make this stunning chaise a must have focal point for any room in your home. 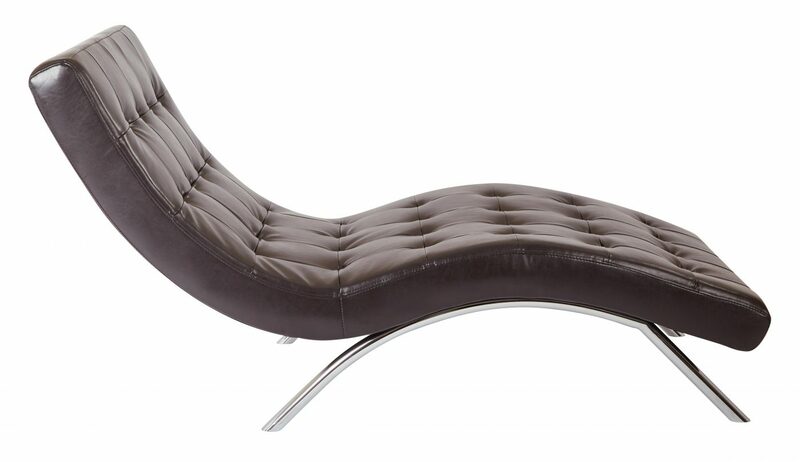 Sit back and relax with the Blake tufted chaise.